At the same time that Red and Green were gathering popularity, there were a whole host of Pokémon spin-off products being released. Along with various licensed products that were appearing one after the other such as trading cards9, an animated series10 began to be broadcast and a movie11 was released. 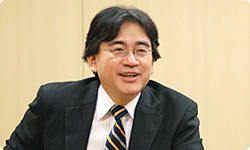 At that time, Ishihara-san, you would chair a weekly meeting where you’d oversee each of the products being licensed. 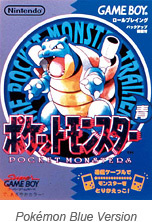 9A trading card game based on the world of Pokémon was released in October 1996, allowing players to do battle with each other as well as collect and trade cards. 10An animated series broadcast by TV Tokyo followed the adventures of Satoshi as he aimed to become a Pokémon Master. It began airing in Japan in April 1997. In the UK the character Satoshi is called Ash Ketchum. 11The first Pokémon movie, Mewtwo Strikes Back was released in Japan in July 1998. I had the opportunity to attend quite a few of those copyright meetings and I was really taken aback. 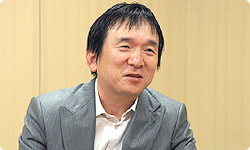 Ishihara-san, you weren't simply giving a thumbs up or a thumbs down to the continuous flow of product proposals, but you were making all sorts of specific recommendations on how precisely this or that should be done… What left a really deep impression on me were your words: "We need to demand to know why this product should use the Pokémon brand". You weren’t simply sticking pictures of Pokémon onto a variety of products, but you’d always say: "I want to know the reason why this Pokémon should be used on this product." What’s more, if there was any lack of ideas, you'd actually get people to come up with more ideas right there and then. I remember feeling that to keep doing that once a week was a superhuman feat. Usually, when you continuously do the same thing, you grow used to it and aren’t able to maintain the same focus. But you’re different, Ishihara-san. That’s why, when I explain to other people what kind of person Ishihara-san is, I say: “He’s a very unusual person in that he combines concentration with stamina.” (laughs) I say that a lot. There’s one more thing that sticks in my mind. I recall how all of us who were involved in establishing Creatures, Inc. used to call Ishihara-san "the King of Portable Toys". (laughs) Do you remember that? I do. (laughs) You did indeed give me that title. Well, you have such a broad interest and deep fondness for portable toys, including electronic games, that we felt you really deserved that title. Exactly! (laughs) It’s a perfect definition of Pokémon, or to put it a different way, it's a perfect definition of the Nintendo DS too. Particularly in the case of the Nintendo DSi, you can customise it to really make it your own as “My DS”, it contains a whole range of tools for communication and it also has room for expansion. You can steadily enhance these tools and hone the device itself so it has the ability to eventually evolve. I think those kinds of elements are vital so I think that both Pokémon and the Nintendo DSi are the ultimate “Kings of Portable Toys”. You’ve just used the term “ultimate” and I feel that even in their names, Gold and Silver12 were meant to be the ultimate in Pokémon games. 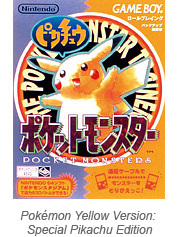 12 and , in which differently-coloured Pokémon appear, were released in Japan on 21st November 1999. They were also compatible with the Game Boy Color. That’s right. 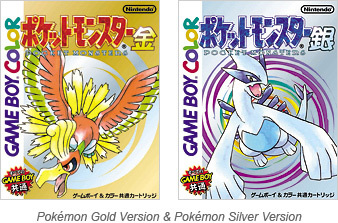 After we released Red and Green, we began working on these titles, thinking that the ultimate in Pokémon games could only ever be Gold and Silver. The reason that I licensed so many products and developed things like the trading cards was basically to ensure that Gold and Silver were successful. I felt that this was my primary role. So at that time, I worked with the assumption that after we put out Gold and Silver, my work as far as Pokémon was concerned would be done. So for me, Gold and Silver represented the finish line. They were the finish line? Well, after researching all sorts of previous data, I learned that animated series on television tend not to last very long. So even when a series based on a game starts, it tends to last six months or, at most, a year. It would be awful if the series was already over before the game was even out. Exactly. The animated series started in April 1997, and if it had stopped broadcasting in 1998, what would we have done then? We had made Gold and Silver with the intention of releasing them in 1998. (laughter) 13, a version of Red and Green featuring different colour schemes, was released as a limited edition on 15th October 1996 before going on general release on 10th October 1999. And then after that, we made Pikachu14... (laughs) 14 was, like Blue, a version of Red and Green with a different colour scheme but it also had a number of value-added features such as being able to walk around with Pokémon. Its release was timed to coincide with a movie released on 12th September 1998. Pikachu was really fun, but because everyone was waiting for Gold and Silver, as you can imagine there was a sense that people were thinking: "I’m not sure they should be putting out Yellow." 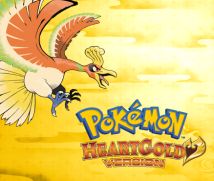 After all, it was also the year that Gold and Silver were scheduled to be released. It was at that point that I decided that there was no point in rushing so I said things like: "We may as well make the Pokémon Pikachu15". 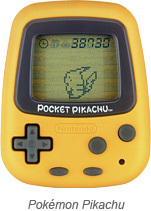 (laughs) 15Pokémon Pikachu was a Pikachu-branded pedometer released on 27th March 1998, where depending on the number of steps taken, Pikachu would become happier. It also featured mini-games.